I thought, they’re offering the guy a bounty? That is, I read it as diagrammed on the right. 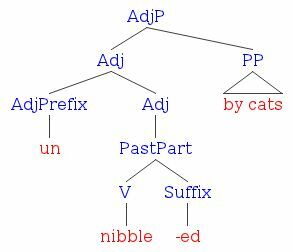 I saw the verb offer, and automatically seized the name that followed as the recipient of the offer (in syntactic terms the indirect object). The noun after that was the item offered (i.e. the direct object). 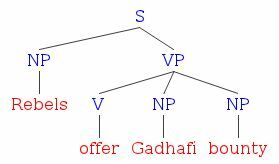 This parse was also easy to fall into because of the line break, putting Gadhafi all by itself next to offer. Real-world knowledge forced a re-read, and I quickly got the intended reading, as diagrammed on the left. 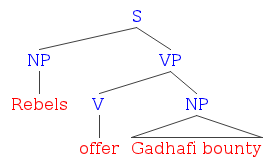 Instead of taking offer as a two-object verb (direct and indirect), this time I took it as a simple transitive verb, and grabbed onto Gadhafi bounty as a single noun phrase for the direct object: “a bounty on Gadhafi”. Much more sensible, although it required a little more thinking to make Gadhafi an attributive noun describing bounty. 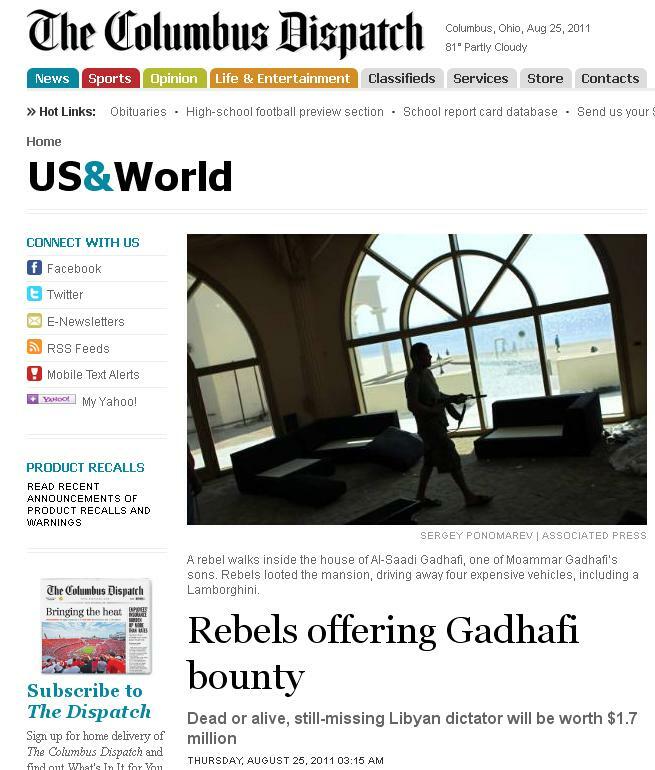 The rebels offered Gadhafi A bounty. Of course, if Gadhafi turns himself in to collect the bounty, I guess both readings could be true. Drew their knives and shot each other. Ask the blind man; he saw it, too. That just left the part about true lies. 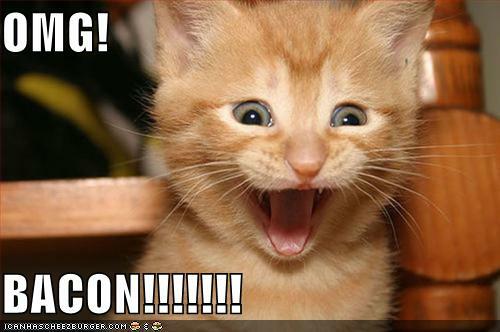 But then all of a sudden I realized: It didn’t matter! The clause about true lies was the complement of an opacity-inducing verb! “Hey, we don’t have to explain anything about true lies!” I told Doug and Adam. “You can believe that two plus two equals five, and there’s no contradiction. You can believe that a purple dinosaur lives under your bed, and the sentence is still true, even though you’re wrong.” Believe, unlike know, doesn’t presuppose that what follows is true. I’m glad I was able to enrich this poem for Doug and Adam, and make it so much more fun and meaningful. Last month, the wife and boys and I saw Super 8, the aliens thriller from J.J. Abrams and Steven Spielberg. Despite its cheesy ending, we liked it enough that we took Mom and Dad to see it when they came to visit a few weeks later. In fact, the movie was entertaining enough that it wasn’t until my second viewing that I noticed what should have been some glaring language anachronisms in a story that’s set in May of 1979. There were other anachronisms, too, which you can find (along with other goofs) on various websites. The smallest temporal dislocation comes in a scene in which a character named Jen is flirting with a stoner dude named Donny. She tells him that her brother has told her Donny is a cool guy (or something along those lines), and then suggests that the she and he could “kick back”. Kick back meaning “relax” is only an anachronism by five years or so. I recall hearing it in 1984 or 1985, and its first attestation in COHA is from 1986. Totally, of course, can modify verbs, but until recently, only in its literal sense of “completely”. It’s hard to say when its sense of just “truly” or “definitely” developed, because in many cases either meaning works. Nevertheless, when totally began to be used with this sense, it was primarily with adjectives, most notably awesome. I don’t think it began to modify verbs that are incompatible with a “completely” meaning (such as kick back) until the 1990s or so. What’s more striking about all three examples in Super 8 is that they all modify an elliptical verb phrase, i.e. one with just an auxiliary verb. We’ve got a nice variety in these few examples: a modal (could), a form of be (am), and a form of do. All that’s missing is have. In both COHA and COCA, this only starts to happen in the 1990s. So what, I just wait here like a douche? I wasn’t aware that “douche” was ’79 slang. I thought that was a more recent thing. I am utterly amazed at the depths to which people in the forum are willing to stoop, just to try to find something to criticize about this film. … Oh, and “douche” as a pejorative has been around since at least the 1960s, and probably a lot longer than that. It also shows up as a derogatory (I assume) nickname in the 1939 novel Ninety Times Guilty, for a character called Jimmy Douchebag. But as for douche, the earliest definition submitted for it in Urban Dictionary is in February 2003. Three months earlier was the original airdate of an episode of South Park titled “The Biggest Douche in the Universe“, and that’s the earliest I’ve been able to antedate douche as a term referring to a person. I totally could see South Park popularizing a new piece of obscene slang, and maybe even inventing it, but can’t say for sure yet. If you heard it earlier than November 2002, or find an earlier attestation, leave a comment. (And not just any comment; a comment giving that attestation.) As for Donny’s line, a more era-appropriate insult would have been dork, but since he uses that one at least twice at other times in the movie, maybe J.J. Abrams wanted something else. Something else beginning with D. In that case, since The Dukes of Hazzard began airing in January 1979, my humble suggestion would have been dipstick. But oddly, given the source, the post doesn’t mention the linguistic knowledge (perhaps implicit) that you must also have. It seems like the joke requires understanding how direct and indirect objects can occupy the same spot in a sentence. Indeed it does, and more specifically, it requires knowledge of two different syntactic frames that make can fit into. To the right is a diagram of make me one with everything with its meaning of “make for me a pizza that has every topping on it”. 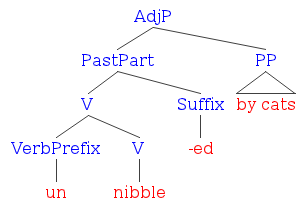 The first branch is the verb make; the second branch is the NP consisting of the pronoun me. 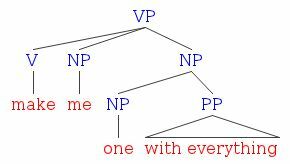 The third branch is the NP one with everything, which itself consists of the NP one, modified by the PP with everything. The first time I read it, I was imagining a job that required an FAA engineer to visit different airports on a schedule. The temporary fix was no good because … he had been unable to do his job in the place he had visited most recently, and by the time his route took him there again, it would be 1 1/2 months later, and by then problems that he could have fixed now would have gotten worse. Was that it? I read it again, and this time took the exact same spot metaphorically, referring to a sudden lack of funding. I finally began to get Stefko’s point: The temporary fix was no good because in six weeks the problem would have to be addressed again. Well, that’s always an obvious objection to a temporary fix, so why was it so hard for me to get that meaning? It could be as little as 1 1/2 months before we could be right back in the exact same spot. I did some Google searching for “It could be * months|years before”, and just skimming through the first few pages of results, didn’t find any that were emphasizing how little time might pass before something happened. What about you? Can you get the “as little as” reading with It could be ___ before constructions? Just You and Me. And Maybe Them. Last year I enrolled in an Ancient Greek language course. The cases, tenses, verb agreements etc. came as a shock to me and for that reason I began searching out how to use English correctly. My impassioned instructor told us of the trade culture of Papua New Guinea that necessitated words that specified relationships between parties. He said there was a word for “you and me”, a word for “you and me but not them”, a word for “you and me and them” etc. It got me thinking about how extremely specified English is, yet rarely … are the definitions of words heeded when used. To tell you the truth, I’m not quite sure what Anne had in mind with that last sentence. Maybe she meant was thinking about people who say in lieu of when they mean in view of, or hysterical instead of hilarious. But I didn’t choose this topic because of that last part, which would probably be too broad for a single blog post anyway. I chose it because the first part brought back memories, and the second part happens to be something I was just reading about. Anne’s story of learning Ancient Greek took me back to a late summer day in El Paso, Texas, just before I started my freshman year in high school. I walked to the Eastwood High gym that afternoon to pick up my textbooks for the coming year, including volume 1 of Living Latin. After two years of junior high school Spanish, I was eager to begin learning Latin, and as I walked back home, I opened the book to see what was in store for me. Some pictures with Latin labels: “FEMINA”, “FLVMEN”, “CANIS”. A few sample sentences, the only one of which I remember is Manus manum lavat: “One hand washes the other.” Then there was some stuff about noun declensions. Declensions? What’s a declension? That worried me a little. I flipped to the back and found the appendix, and my slight worry grew into moderate anxiety as I saw phrases like fifth declension, accusative case, and fourth conjugation. When I came across pluperfect tense, I knew I’d better do something before school began. Even if I didn’t know what declensions, cases, or conjugations were, I had thought I at least knew what a verb tense was. I knew about past, present, and future tense in English, and the present and preterite tense in Spanish. (That’s right: two years of Spanish; two verb tenses learned. At least for regular verbs.) But with this “pluperfect” tense staring back at me, I realized I needed an English grammar refresher (or more accurately, a fresher) before I started anything in Latin. When I got home, I found a section on English grammar in the back pages of our dictionary, and finally learned what the present perfect, past perfect, and future perfect tenses were. And the subjunctive mood. Before, those had just been vague terms that were good only for conversations when you wanted to talk about grammar jokingly, kind of like when people talk about a nonexistent distant relation as “my father’s ninth cousin, twice removed”. (You know they don’t know what they’re talking about when they say that, because if they did, they’d say “my tenth cousin, once removed”, or “my ninth cousin, three times removed”.) I still didn’t know what declensions were, or the pluperfect tense, but now I didn’t have the uneasy feeling that they were things I should know at the outset. So that’s how learning a classical language helped Anne and me with our English: By scaring us into learning English grammar on our own! Now, as for the second part of Anne’s suggestion, I read a paper called “‘We rules: The impact of an inclusive/exclusive opposition on the paradigmatic structure of person marking,” by Michael Cysouw (in Pronouns — Grammar and Representation, 2002, ed. by Horst J. Simon and Heike Wiese). He had investigated a sampling of languages from around the world to find out what patterns there were to homophony among pronouns (and among its person markers for its verbs). 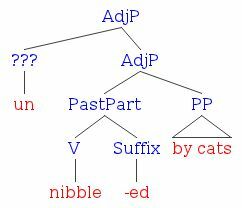 For example, Standard English uses just one pronoun, you, for second person singular and second person plural. German uses Sie for both third person singular feminine (“she”) and second person plural (or polite singular). And in what should be Standard English, they functions as both third person plural and third person singular common gender. Cysouw found that there was a correlation between the kinds of pronoun homophony in a language and how it handled the concepts of inclusive and exclusive “we”. First, some background. Cysouw excluded from his study languages that had number distinctions like dual (just two participants) or paucal (a few), and focused only on those that distinguished singular from plural. For these languages, there are eight possible categories for person, three of them singular and five of them plural. The singulars are the familiar first person (speaker), second person (single addressee), and third person (anyone else). For the plurals, there is second person (multiple addressees) and third person (multiple others), which makes five total. The remaining three are all versions of first person plural. There’s the “exclusive ‘we'”, i.e. speaker plus other(s) but not including the addressee(s), which makes six. I would have thought the “inclusive ‘we'” would bring the total to seven, but I was surprised to find that there are two kinds of inclusive “we”, as Anne mentioned. Speaker plus addressee(s) and no one else, i.e. “you and me but not them”, is known as the minimal inclusive first person plural. Speaker plus addressee(s) plus others, i.e. “you and me and them”, is the augmented inclusive first person plural. Theoretically, among these eight possibilities, any pair of person categories could be homophonous, but in fact, only a few kinds of homophony tend to occur. By my calculations, there are 618 possible ways for homophony to exist in these eight categories, if you sum up the possibilities for zero homophony, only two homophones, only three, four, five, six, and finally complete homophony. But out of 265 languages, Cysouw found only 62 arrangements of homophony. Nine of those arrangements accounted for about 70% of the languages. I’ve illustrated eight of them below, with matching colors (other than white) indicating homophony. The ninth case is the case of zero homophony, which I didn’t include because eight diagrams make a tidier picture, and because you can picture this schematic without any color in it yourselves. Latin would be the pattern on the top right. As far as its present tense suffixes go, English isn’t among these nine. As far as pronouns go, English comes closest to the top middle diagram: We make no distinction between any of the three kinds of “we”, and our second person singular and plural are homophonous. If we take singular they into account, the fit is closer because of the homophony on the bottom row, but not perfect because of the distinct he, she, and it. The patterns on the bottom row are languages that distinguish between inclusive and exclusive “we”, but not between minimal and augmented inclusive “we”. One thing that you can notice immediately about the most common pronoun setups is that any homophony is between (or among) contiguous cells in the table, though homophony among noncontiguous cells is certainly attested in languages of the world. For example, first and third person singular are sometimes homophonous; in Spanish, these two forms are identical in the imperfect, present subjunctive, imperfect subjunctive, and conditional. One thing that Cysouw noticed is that when a language has a distinction between inclusive and exclusive “we”, none of its singular forms are homophonous. None of the four common patterns on the bottom row have singular homophony (or in the top row, either, though that’s not relevant here), nor did any of the rest of Cysouw’s sampled languages that had this distinction. Furthermore, languages with the inclusive/exclusive “we” distinction usually don’t show plural homophony, either (beyond minimal and augmented inclusive “we”). Only 12% of Cysouw’s languages with the inclusive/exclusive distinction had some kind of plural homophony, compared to 28% for those that didn’t have the distinction. Cysouw further observed that the level of pronoun homophony for the singular or plural columns in these most common patterns follows a kind of hierarchy. If there’s going to be any person homophony at all, it will be between minimal and augmented inclusive “we”. If there’s more person homophony, it will be to erase the distinction between inclusive and exclusive “we”. Beyond that, you’ll find that second person plural is thrown in. If there’s even more person homophony than that, it will be for first and second person in the singular to be homophonous as well. However, this hierarchy is only true of personIndependent of this hierarchy, there can be various kinds of number homophony (or as Cysouw calls it, “horizontal homophony”) going on, too. Anne, thanks for the suggestion; good luck with Ancient Greek; and get good use out of Grammar Girl’s Ultimate Writing Guide!